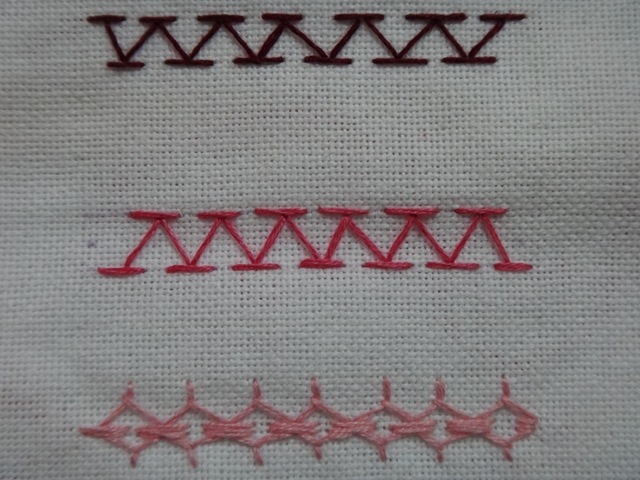 The stitch for week 6 of the Take A Stitch Tuesday challenge was the Chevron stitch. 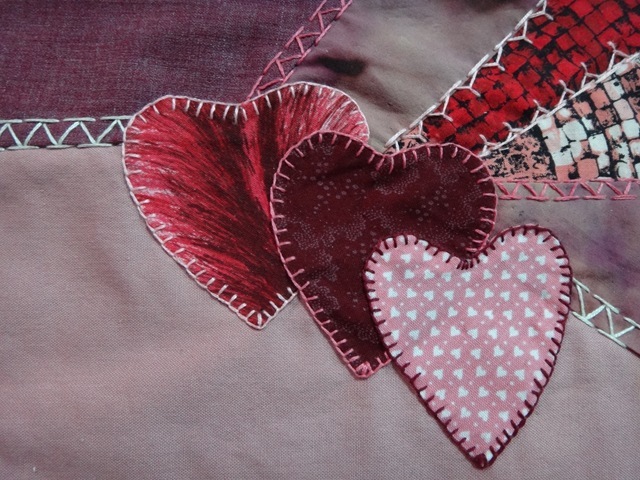 fabric hearts to the block. This entry was posted in applique, Crazy Quilt, Embroidery. Bookmark the permalink.